The Dayton Chapter of the American Red Cross will partner with the West Carrollton Fire Department on Saturday, Oct. 13, to knock on the doors of 300 residents in two different neighborhoods and offer to install smoke alarms. Volunteers and West Carrollton firefighters will canvass two different neighborhoods in the city from approximately 9 a.m. to 3 p.m. on Oct. 13 for a “Sound the Alarm” campaign, which also coincides with National Fire Prevention Week. One neighborhood will include the streets between Miami Avenue and Squire Street near Friend Park. The other neighborhood will include the streets located between Elm Street and Smith Street and between Elm Street and Maple Hill Drive. The volunteers will check the batteries in existing alarms, as well as install new alarms if necessary. Residents who need assistance with new alarm installation, but live outside of the designated West Carrollton neighborhoods can call the West Carrollton Fire Department at (937) 847-4645 to request help. Non-West Carrollton residents can call Red Cross’s Sound the Alarm voicemail at (937) 221-7540 to request assistance. According to the American Red Cross, every day around the U.S., seven people die in home fires, most in homes that lack working smoke alarms. Their statistics show that children and the elderly disproportionately lose their lives. 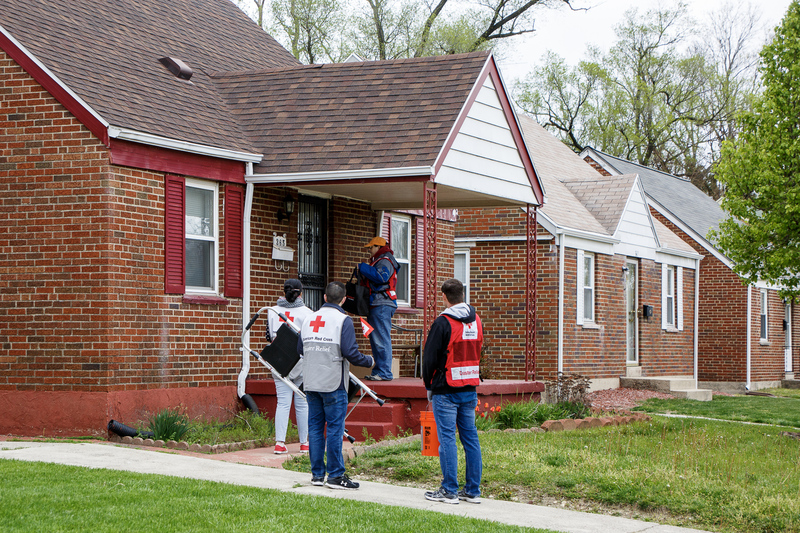 The American Red Cross wants to improve the odds and save lives – that’s why it launched a Home Fire Campaign in 2014. In just three years, the Red Cross estimates that the home visits have resulted in the installation of more than 1 million smoke alarms and preparing more than 1 million people against home fires. For more information, contact the West Carrollton Fire Department at (937) 847-4645 or Cory Paul, Executive Director, Dayton Area Chapter, American Red Cross, at (937) 553-4665.